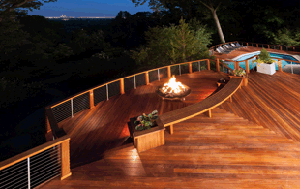 Our beautiful and luxurious custom-built decks can be blended into the natural surroundings of any home. 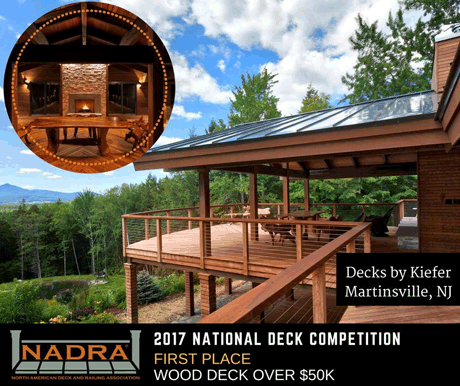 Decks with built-in benches, deck and patio combos, bi-level decks, raised decks, privacy walls, and even decks with hot tubs and cooking areas are all part of our expertise. Bob Kiefer's signature deck designs have garnered both state and national recognition, and his work has been featured in leading publications distributed throughout the country. 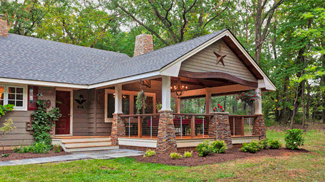 Design and quality workmanship are of paramount importance to Bob in all of the projects he undertakes. He is actively involved in the execution of each one, from concept to completion. His extensive portfolio of decks with built-in benches, deck and patio combos, bi-level decks, raised decks, privacy walls, and even decks with hot tubs and cooking areas, are each designed to integrate seamlessly into the natural surroundings of any home. 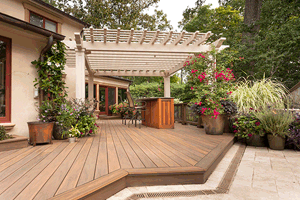 Decks by Kiefer was established in 1975 by Bob Kiefer, a superb craftsman whose roots in the field of landscape architecture enable him to approach his custom deck and carpentry projects from a unique design perspective.